We produce veneer from trees grown and harvested in inland British Columbia. 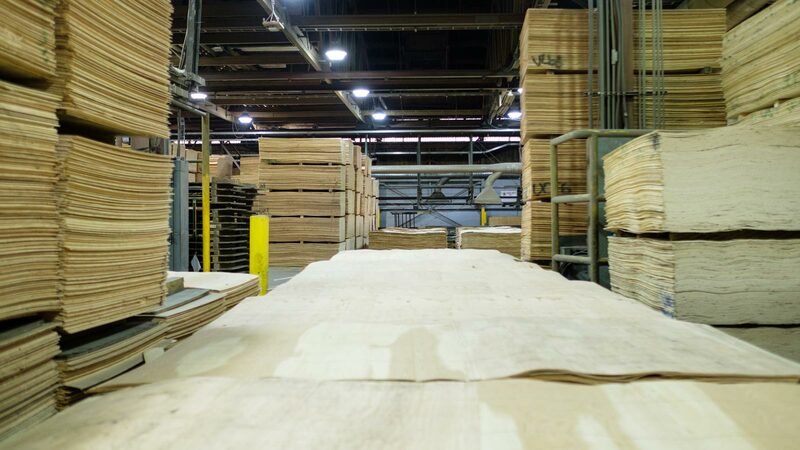 Our veneer is used in our popular T-PLY Plywood products and is also available separately for use in overlays as well as high quality, decorative and furniture-grade plywoods. Our high grade spruce and Douglas fir veneer is sold to manufacturers who use it for the inner layers of decorative hardwood plywood or other overlay panels that require a smooth finish. Our Douglas fir veneer is also strength-tested with our Metriguard Veneer Tester during the drying process, and veneer that makes the grade is sold to manufacturers who make Laminated Veneer Lumber (LVL). Create your own decorative plywoods or overlays with Metriguard Veneer.